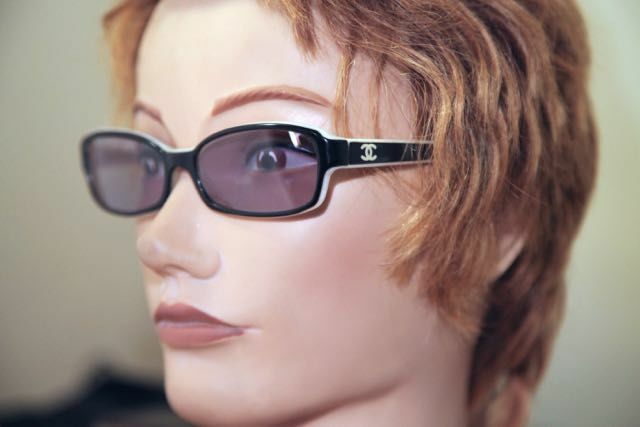 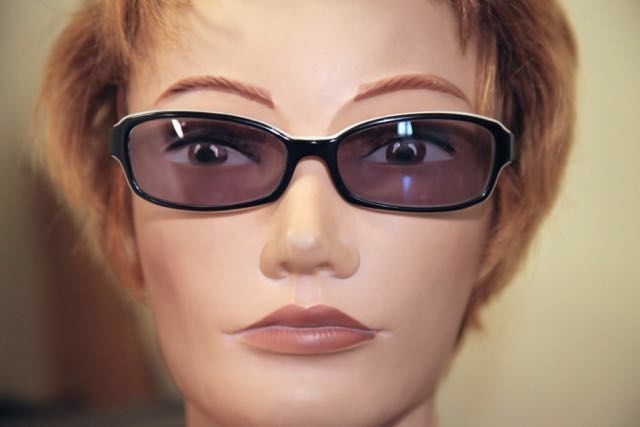 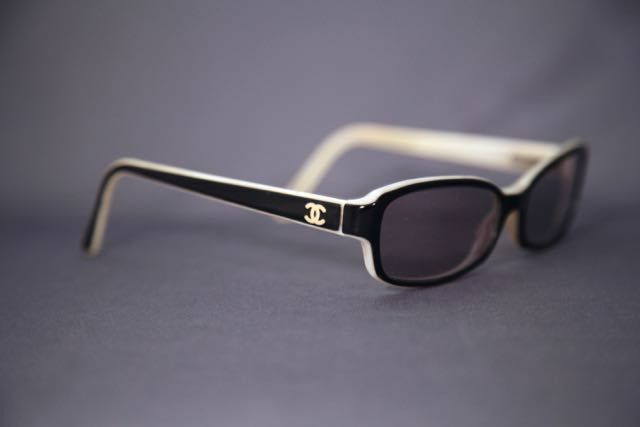 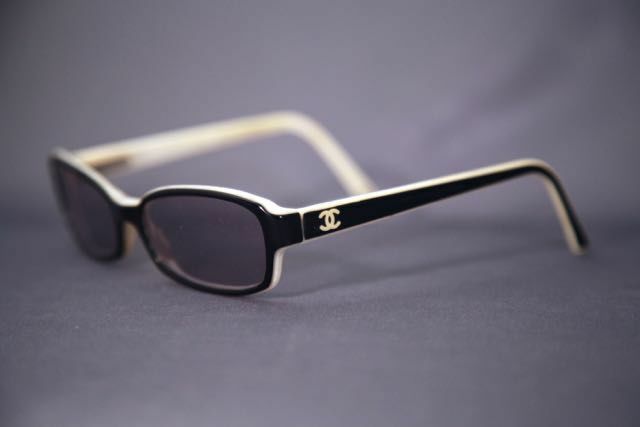 Simple ligns based, black and white sunglasses by Chanel. 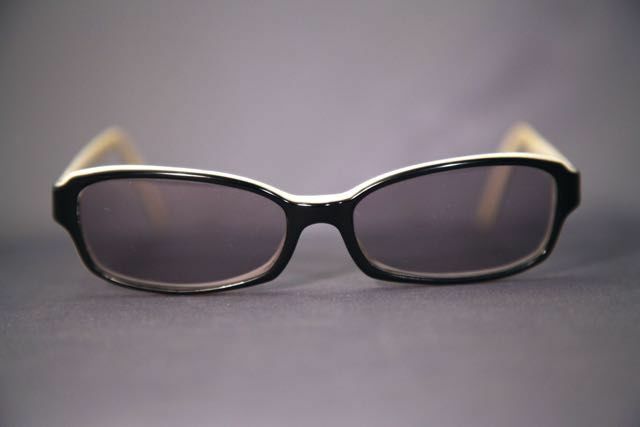 Model 3158. 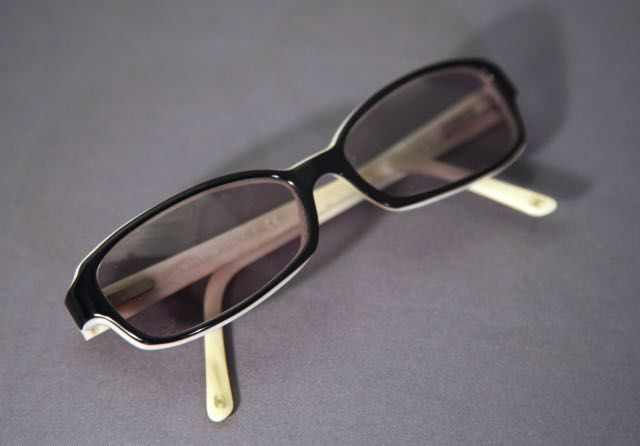 Vintage frame from the 90s with new grey lenses of today.